It is also with much excitement that we launch today our ‘Inferno’ tour! 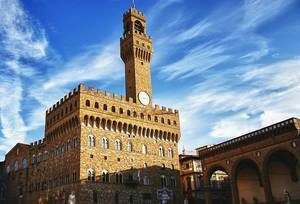 Based in Florence, Tuscany, this unique break gives you the opportunity to explore the locations featured in the new film ‘Inferno’, based on the 2013 Dan Brown novel. The film will be in UK cinemas from this Friday 14th October and once you’ve seen the stunning sets, we are certain you’ll be desperate to head to Tuscany yourself! And lastly, here is your final reminder about our exciting photo competition! If you want to be in with a chance to win £1000 of Grape Escapes vouchers for your next holiday, please send us your wine tour holiday snaps via Twitter, Facebook or Instagram before Friday 21st October! To celebrate the launch of the new mystery thriller ‘Inferno’, we are excited to launch our Inferno tour, which gives you the opportunity to walk in the footsteps of Dan Brown’s Inferno protagonist, Robert Langdon on a fully immersive and fascinating tour of the city. Of course, this is a Grape Escape, so on our three day/two night Inferno tour you’ll also have the opportunity to delight in the much sought-after Tuscan wines, enjoying a tutored tasting session in a local wine bar, as well as indulging in a delicious six course gastronomic dinner with drinks to try the local cuisine! Prices start at just £324 per person on this three day package. Rejoice in Rioja: Save a Staggering £85 per person on a three day break! 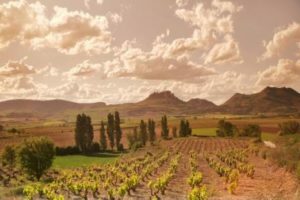 Based at the contemporary 4* Hotel Viura, our Essential Rioja three day break gives you the chance to discover the world renowned wines of Rioja; our Spanish tour manager will be delighted to welcome you, enthusiastically regaling you with the history and anecdotes of the region. 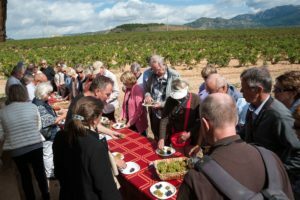 On the tour you will enjoy visits of two contrasting wineries to discover the full wine-making process from press to bottle, and the highlight of the trip is the opportunity to participate in the famous tapas run of Logrono, a unique chance to enjoy local tapas and wines as the locals do!